"My experience with Dr. Krause and his staff couldn't have been better with the care." "Dr Krause is an amazing doctor! He has wonderful bedside manners." "My husband and I had the most amazing experience doctoring with Dr Krause and his staff!" "Dr.Krause and his staff were amazing. Highly recommended!" "I highly recommend Dr. Krause and his wonderful staff." "Dr. Krause and his team are absolutely amazing! Would highly recommend them to anyone!" "My experience with Dr. Krause and his staff couldn't have been better." Michael R. Krause, DO, Michele Peitz, PA-C, and the rest of the caring and knowledgeable team at Dakota Women’s Clinic offer various OB/GYN services to women living in and around Mitchell, South Dakota. They're the only clinic in the area that a healthcare system doesn't own. For personalized medical care, the best choice is Dakota Women’s Clinic. Many patients who come to Dakota Women’s Clinic are friends and neighbors of its close-knit community. Others become good friends after years of reliable, high-quality patient service. In either case, the team at Dakota Women’s Clinic cherishes every patient relationship and strives to offer an unbeatable level of care. Some have been coming to Dakota Women’s Clinic for 20-30 years because they appreciate the pleasant and comforting experience of working with providers they trust. Dakota Women’s Clinic provides the benefits of a small practice with a broader range of OB/GYN services than larger practices. 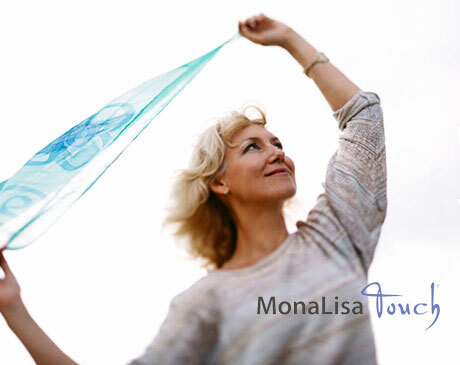 They proudly offer MonaLisa Touch vaginal rejuvenation treatments, menopause counseling, annual women’s wellness exams, preventive screening for cancer, contraceptive counseling, Pap tests, fertility evaluations, and obstetric care for low and high-risk pregnancies. Dr. Krause, Michele, and the expert staff at Dakota Women’s Clinic enjoy providing care for women in all stages of life, from adolescence through post-menopause. If you’re looking for superior obstetric and gynecological care, Dakota Women’s Clinic is there for you.